Twenty-nine years ago today, on June 4, 1989, the Chinese government ordered the unprovoked and brutal assault by the People’s Liberation Army on tens of thousands of unarmed civilians surrounding Tiananmen Square. 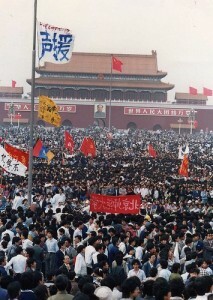 The exact number of people killed the night of June 3, 1989 into the early morning hours of June 4 is only known to the perpetrators of the massacre: the Chinese Communist Party (“CCP”). But whether it was a few hundred or a few thousand does not diminish the fact that peaceful protests were squashed with such a violent – and unnecessary – crackdown. In the immediate aftermath, other countries had to figure out how to respond to a government that would massacre its own people. In the United States, that response came from President George H.W. Bush who granted asylum to Chinese dissidents and ordered a plethora of sanctions against China, including suspension of U.S. foreign aid, arm sales, high-level government exchanges, export licenses for certain products and the linking of Most Favored Nation status to human rights. (see Congressional Research Services, China: Economic Sanctions (Aug. 22, 2016), pp. 1-3) In the months that followed, Congress codified many of those sanctions including the suspension of export licenses for crime control and detection equipment. (see Public Law (“P.L.”) 101-246, § 902(a)(4)) Congress’ reasons for codifying these sanctions: the random arrest and detention of those suspected of participating in the Tiananmen Square protests (P.L. 101-246, § 901(a)(3)-(4)), continued surveillance on activists (P.L. 101-246, § 901(a)(5)), blocking foreign journalists from covering the events (P.L. 101-246, § 901(a)(7)), and continued and unlawful repression of human rights activists and activities (P.L. 101-246, § 901(a)(8)). 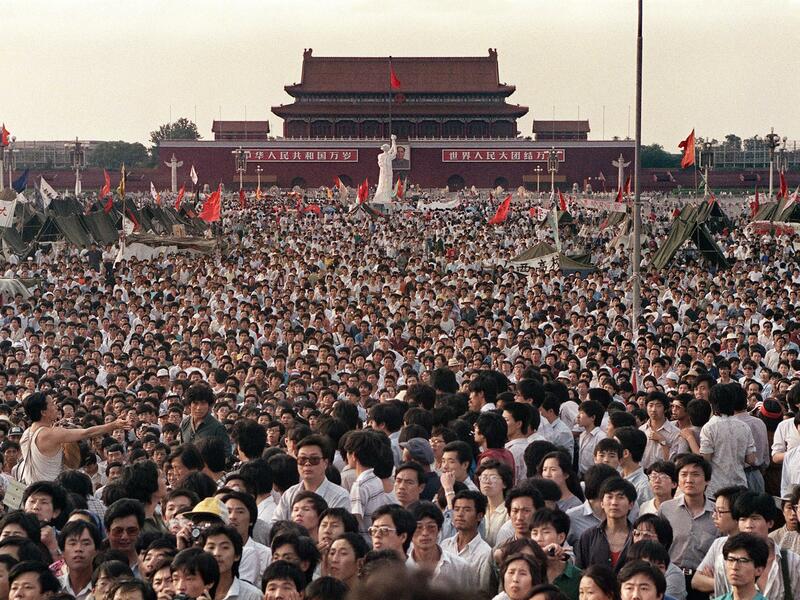 But as time progressed and the events of June 4, 1989 became a distant memory, many of the U.S.’ Tiananmen Square sanctions were waived or rendered obsolete. (China: Economic Sanctions, p. 3) But one sanction that still remains in effect today is the suspension of export licenses to any U.S. company seeking to sell any equipment or instruments related to crime control and detection. (Id., pp. 3, 8; see also Office of the Chief Counsel, Bureau of Industry and Security of the U.S. Dep’t of Commerce, Legal Authority: Export Administration Regulations (Jan. 4, 2017) (“BIS Legal Authority”), Part III.7 (p. 106)). Although the President can terminate the sanctions, he can only do so if he issues a report to Congress that provides one of two reasons – either that the Chinese government no longer perpetuates human rights violations or it is in the best interest of the United States to terminate the sanctions. It does not appear that a U.S. president has ever issued such a report in regards to crime control sales, leaving the Tiananmen Square sanctions against of such equipment by U.S. companies to China very much in effect. As China uses technology more and more to suppress any form of spontaneous dissent and to constantly surveil its citizenry, the Tiananmen Square sanctions against the sale of crime control equipment to China seem particularly prescient. But, unfortunately, the sanctions have rarely been enforced and U.S. companies skirt the sanctions with impunity. In 2011, Cisco sold over 500,000 cameras to the city of Chongqing specifically to watch its citizens. 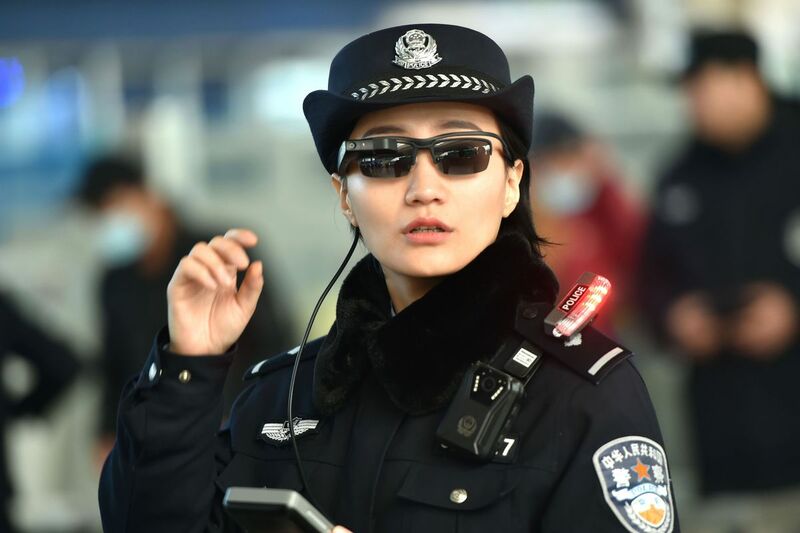 Every year, U.S. technology and security companies enthusiastically market their goods at the China International Exhibition on Police Equipment, an annual trade show sponsored by the Ministry of Public Security. 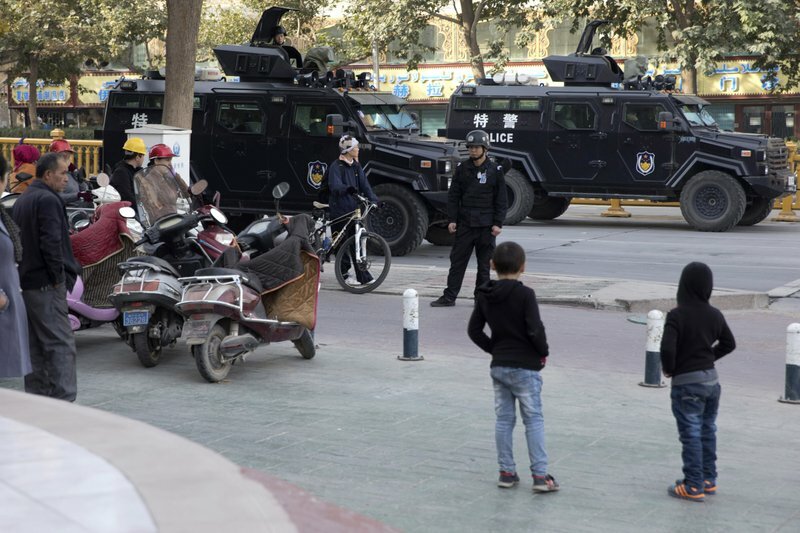 And now it turns out that U.S. companies are actively participating in what can only be termed the most profound police state in human history: the mass surveillance, detention and abuse of Uighurs, a Muslim ethnic group in China’s western province of Xinjiang. Cameras on every street are equipped with facial recognition; Uighurs are constantly stopped by police to check their social media accounts on their phones; over 500,000 Uighurs have been forced into detention without any trial, under the guise of “Political Education Centers;” iris scans and blood tests, in order to collect DNA, are randomly performed on Uighurs; the Han Chinese in Xinjiang are exempt from these abuses. Unfortunately, U.S. company Thermo Fisher Scientific is one of the entities selling DNA technology to the Chinese Ministry of Public Security and various Public Security bureaus across China, including those in Xinjiang, according to a Human Rights Watch report. Last month, the Congressional-Executive Commission on China (“CECC”) issued a letter to Wilbur Ross, the Secretary of Commerce, calling on him to investigate Thermo Fisher’s sales to China’s public security organs in light of the export sanctions and to report what other export licenses are being granted in violation of the law. It does not appear that Secretary Ross has responded to the CECC’s inquiry, and if the history of the enforcement of the Tiananmen Square sanctions is any guide, he will not. 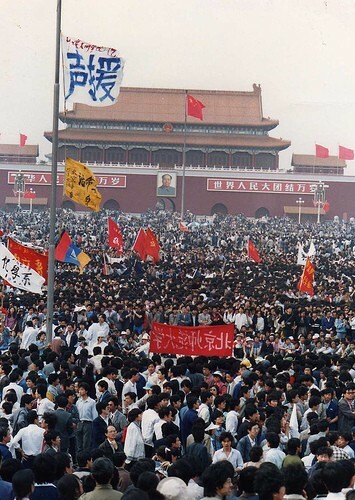 Many of the reasons for the passage of the Tiananmen Square sanctions almost 29 years ago – the repression of dissent, surveillance of peaceful protesters, the concealment of information, the violation of human rights – are very much alive and well in today’s China. It is true that given China’s current status in the world, it will be much harder now to influence China’s domestic behavior than it was in 1989. But that doesn’t mean that the United States should abandon its own laws, or the policies underlying those laws. The government should not permit U.S companies to profit from the Chinese government’s creation of a Jim Crow society in Xinjiang. To do so would be a disrespect to the many innocent lives lost 29 years ago today and to the valiant efforts of the U.S. government in the wake of the massacre to ensure that the U.S. does not play a role in human rights violations in China. The long, publicly drawn-out saga of Google in China continues. And at this juncture, one wonders why. On Monday, Google’s Chief Legal Officer, David Drummond, posted a blog entry to share with the world Google’s new troubles in China. Drummond announced that in order to acquiesce to Chinese officials’ demands and guarantee that the Chinese government renew Google’s Internet Content Provider (ICP) license, Google would change certain aspect of its Chinese website, Google.cn. This certainly is a different Google than the one just six months ago that had its guns blazing. Back in January, after Google’s servers were hacked by an attack likely originating in China, Google announced that it would no longer censor its results on its Chinese search engine, Google.cn. While the two issues – hacking and censorship – seem to have little to no relation to each other, Google successfully played up its moral stance against China’s internet censorship in the West and became the darling of the Western press for maintaining its motto of “don’t be evil.” A few questioned Google’s sincerity (see here) and wondered if Google would have taken such a moral stance if its withdrawal from the largest internet market in the world had a greater impact on its profits. 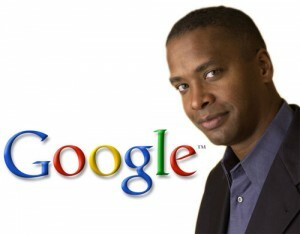 In general however, Google was heralded as upholding freedom of speech and human rights. 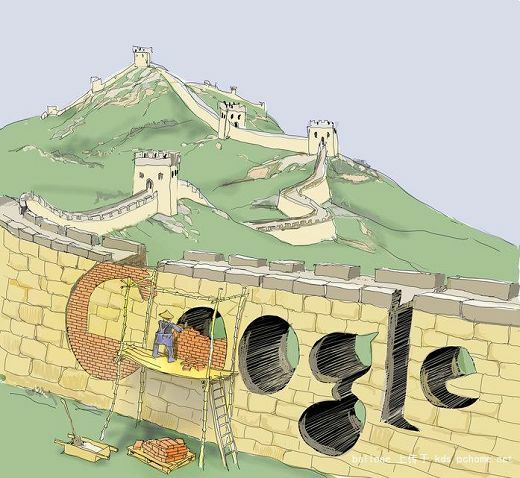 But Google’s pull-out from China did not mean that it shut down its Google.cn site. Instead, in order to conform with Chinese law and also with Google’s promise not to censor search results, Google redirected all traffic from Google.cn to Google.com.hk, a website locate in Hong Kong and thus not subject to the censorship rules of the Mainland. Visitors to Google.cn would be automatically redirected to Google.com.hk. But this doesn’t mean that a search on Google.com.hk, when conducted from the Mainland, is free from censorship. The results from such a search are in fact censored – it’s just that Google itself is no longer doing the censoring; instead, China’s internet technology does the censoring (for an explanation of the different types of internet censoring in China see here). Now though, Google’s make-shift solution has raised the ire of the Chinese government and Google fears that its ICP license is at stake. Under the Telecommunications Regulations of the People’s Republic of China (PRC), every website that operates inside the borders of China, must obtain an ICP license. 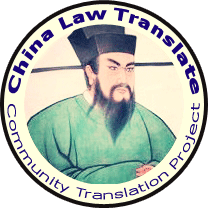 Thus, Google.cn, which is housed within China’s borders, needs an ICP license; but Google.com, the U.S.-based search engine which is accessible on the Mainland, does not need an ICP license since it is housed within the U.S. If the Chinese government does not renew Google.cn’s license, then the site will be shut down and will no longer exist. What the Chinese government doesn’t like, at least according to Google, is the automatic redirection of traffic from Google.cn to Google.com.hk. So to appease the Chinese regulators, Google has changed it so that there is no longer an automatic redirection; instead, Google has added a line on Google.cn stating in Chinese that the site has been moved to Google.com.hk and the if the user clicks anywhere on the page, he or she will be redirected to Google.com.hk. So instead of an automatic redirection, it now takes a simple click. According to Google, it needs Google.cn so that Mainland users will know that they can access a Chinese-language search language at Google.com.hk (Mainland users can in fact access Google.com, the U.S.-based search engine, but its interface is in English, not Chinese). But will this change make a difference? While technically there is a distinction between an automatic redirection to the Hong Kong-based site and a quick click of the mouse on the Google.cn website to get there, in reality it is more of a distinction without a difference. Will the Chinese government find this distinction acceptable and renew Google’s license? Or will it reject Google’s license renewal application? If the Chinese government does reject Google’s ICP license renewal application where does this leave Mainland internet users? Basically in the same place that they are in now, causing one to ask Google, what’s the big deal? Contrary to popular belief, Chinese internet users have access to Google.com, the U.S.-based site, as well as direct access to Google.com.hk. A search by a Mainland user on either of these sites will produce the same Chinese government-censored results. If the Chinese government rejects Google’s application, the only difference will be that Google.cn, the Mainland-based site, will be shut down and will no longer exist. So unless a Mainland internet user knows to go to Google.com or Google.com.hk, he or she will likely turn to the Chinese-based search engine, Baidu.com. Since the start of “the troubles” between Google and the Chinese government in January, Baidu has increased its market share of internet users, from 58.4% to 64% of the market. Google’s market share in China, with the automatic redirection to Google.com.hk, has decreased from 35% to 30% (see Rebecca MacKinnon, June 30, 2010 Congressional Testimony, p. 7). Although Google’s loss of the search engine market share in China was likely inevitable since Baidu benefits from its close and special relationship with the Chinese government, it’s still important for Google to maintain its Google.cn website in China and have some sort of a toe-hold in the country for future development especially. Currently only around a third of China’s population are internet users, causing internet companies to salivate at the potential profits in China. Other Google applications, like Gmail and Google Earth (Google’s mapping tool), could also bring in huge amounts of revenue. Google Earth is particularly promising since China has begun to make efforts to provide its population with accurate online maps. In fact, this past June, Google applied for approval as one of China’s officially-licensed internet mapping companies. But as of July 1, such approval does not look likely. The Chinese State Bureau of Surveying and Mapping just issued a list of mapping companies it deems of “high quality,” a prerequisite for approval. Google is not listed. Google potentially has a lot to lose, at least profit-wise, by continuing to take a hard-line against the Chinese government, and that might explain its current change in demeanor and willingness to acquiesce to the Chinese government. But Google’s attention to its business interest should not come as a shock; in fact, that’s likely what caused it to pull-out of China in the first place. A corporation’s raison d’être is to maximize profits for its shareholders. Regardless of what Google might say — that its goal is to “not do evil” — it is ultimately responsible, under law, to its shareholders. And that’s the way it should be. Society should not rely on corporations to act as stand-ins for its values. It is the role of governments, individuals and non-governmental organizations (NGOs) to advocate on behalf of human rights and society’s moral values. Corporations are not there to police themselves; others must do it for them. Individuals and NGOs have the ability to shine the media spotlight on corporations’ morally-offensive behavior, calling for boycotts and effectively raising the economic cost of conducting undesirable business practices. activities, making such actions too high of an economic cost to that company. In fact, in terms of internet and technology, the U.S. already has such regulations. Known as the Tiananmen Sanctions, and passed after the 1989 Tiananmen Square protests, Congress can deny export licenses to those U.S. companies that sell “crime control and detection instruments and equipment” to China (Congressional Research Service, “China: Economic Sanctions,” p. 2). But these sanctions are never used. U.S. companies like Cisco, Oracle and Motorola have provided Chinese state security forces with the technology necessary to police the internet. Aside from a few articles in the U.S. press, these transactions have received little to no censure. China’s internet censorship should not be condoned. But Google is not the champion of our moral values, nor should it be asked to be. The responsibility lies with us, through our elected officials and through our own actions. But so far it appears that society is more willing to hide behind the mask of Google’s actions, seeing its pull-out from China as some moral victory instead of a business dispute. This is unfair to Google, detrimental to the Chinese people and undermines the values which we hold dear.